Throughout the campaign and since his election, Barak Obama has made it clear that longterm economic growth -- not just economic recovery -- is a priority. He also understands the importance of technology in reaching that goal. 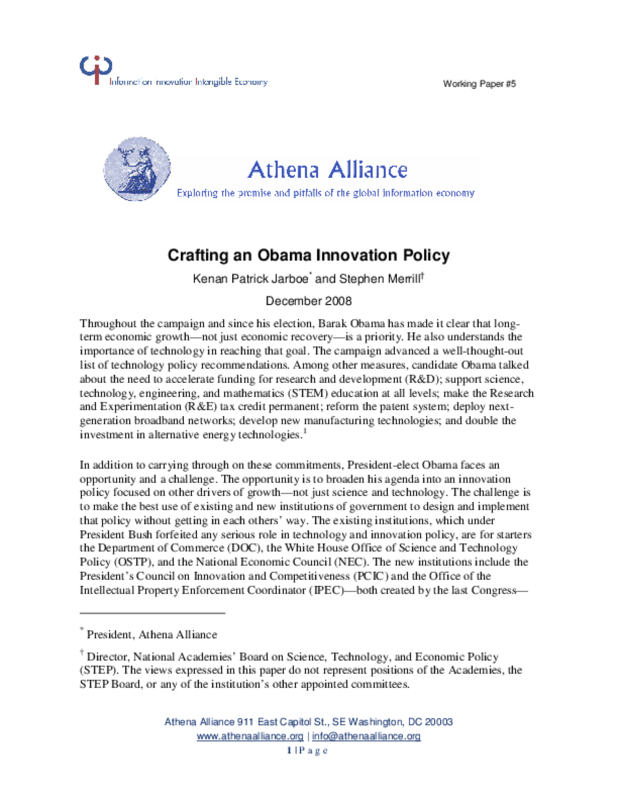 The campaign advanced a well-thought-out list of technology policy recommendations. Among other measures, candidate Obama talked about the need to accelerate funding for research and development (R&D); support science, technology, engineering, and mathematics (STEM) education at all levels; make the Research and Experimentation (R&E) tax credit permanent; reform the patent system; deploy nextgeneration broadband networks; develop new manufacturing technologies; and double the investment in alternative energy technologies.